This year marks the 50th anniversary of the opening of Vatican II. Why is the Church not doing anything to mark this significant occasion? In fact, Pope Benedict has announced a “Year of Faith” to mark the 50th anniversary of the second Vatican Council. It will begin on 11 October, the day that the Council was formally opened by Blessed Pope John XXIII. The focus of the Year of Faith will be the new evangelisation: something very much in accord with the concerns of the Fathers of the Council. Today is the anniversary of the death (some would say martyrdom) of King Charles I. This would have passed me by were it not for the Beaker Folk of Husborne Crawley announcing that they have abandoned any normal liturgy for the day. Instead, they are remembering how the forces of nothing-being-much-fun won. Among other activities, they're having mince pies, Christmas cake and spaniel racing. Jolly sound - but that's just my view. A revered Archbishop with whom I studied many years ago was part of the King Charles I Society at Oxford. He was the Chairman. As he said to me "We didn't have a President, you understand." The Latin Mass Society are planning a conference at Regent Hall on Oxford Street. This is an event for ordinary members of the LMS, and non-members will be welcome. Here (quoted from the publicity leaflet) is the line-up of rogues that they have prepared - I'm looking forward to being part of this team. Stuart McCullough (Good Counsel Network) This should be fun. Probably not the conference to go to if you are looking for complimentary copies of The Tablet. Hungary has passed a new fundamental law which, among other things, protects the rights of the family and of the unborn child. The new law replaces the communist era constitution. I am grateful to C-Fam for their report on this: Hungary Defies Critics With New Family Law. They give a link to the draft of 25 April 2011 which was passed, though I don't know whether amendments were made to it (some of the points in the C-Fam report can't be found in the draft.) In any case, there are some elements that look very good. The Fundamental Law establishes a national holiday on 20 August to commemorate the founding of the state and its founder, St Stephen, as well as 23 of October, to commemorate the 1956 uprising. (1) Hungary protects the institution of marriage between man and woman, a matrimonial relationship voluntarily established, as well as the family as the basis for the survival of the nation. SPUC are holding a conference on abortion and maternal health. This is a question that is often used by the culture of death to promote abortion, so it is an important issue to address. 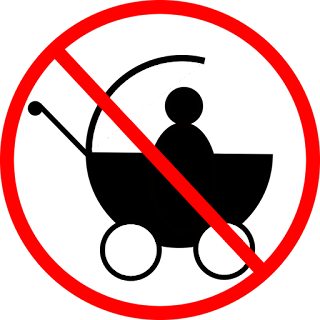 You can find all the details at the SPUC website: Abortion or maternal health. there are materials linked there to help prepare for the conference, and you can book for it online. 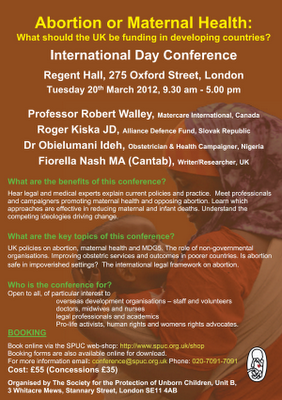 The main speaker is Professor Robert Walley and he will be joined by legal expert Dr Roger Kiska of Alliance Defence Fund, consultant obstetrician gynaecologist Dr Obi Ideh from Nigeria, and maternal health campaigner Mrs Fiorella Nash. The carving of Our Lady of the Rosary which adorned the Christian flagship, the Galera Real at the battle of Lepanto has been recovered and is being restored. Fr Z advised me of this news earlier today as it is of particular interest for a parish dedicated to Our Lady of the Rosary. Father has himself posted about it: Statue of Our Lady at 1571 Battle of Lepanto comes to light! ABC Salud has an article in Spanish which highlights the importance of the find. I enjoy interacting with other people on Twitter but find that sometimes I get into rather uncharitable arguments with atheists and even with fellow Catholics. I wonder if it is too much of a temptation. As with all social media, Twitter can be used for good or evil. It is an effective way for people to share information, views and arguments. At its best, it can be a part of Pope Benedict’s vision of co-workers for the truth engaging in evangelisation. At its worst, it can be used as a form of cyber-bullying. People can also bully others by writing nasty letters on paper, so there is nothing new under the sun. It is not the means of communication that is the problem but our use of it. Each week I write an article of roughly 350 words for the Catholic Herald which has the title Catholic Dilemmas. This is a good writing discipline since at that length you can't afford to waste words, and it is a challenge to answer some of the questions in the limit. I don't have the option to waffle on longer. In correspondence with the Editor, Luke Coppen, I discovered that I had been too coy about posting the articles here. Since I am paid a fee for them, I felt that it was not my business just to publish them at will. However publishing is changing fast and the editor is happy for me to post my articles - and indeed to have a link to the Herald to boot. So you'll be getting my CDs, as we call them, regularly from now on - after the print edition of the paper is out. 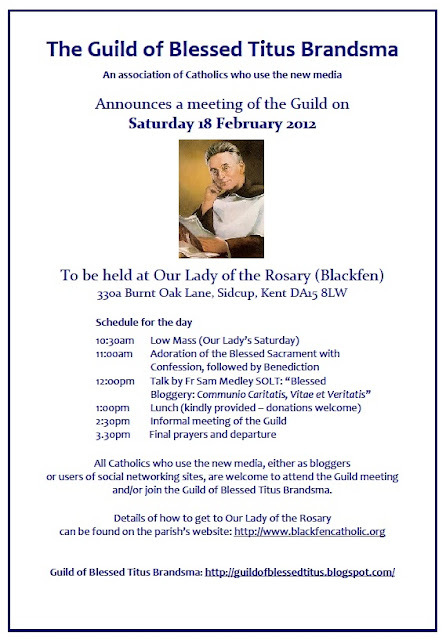 All Catholics who use the new media, either as bloggers or users of social networking sites, are welcome to attend the Guild meeting and/or join the Guild of Blessed Titus Brandsma. Her article is a master-class of what the Fathers of Vatican II referred to as the lay apostolate. This was not invented in the 1960s; before then there was a thriving lay apostolate in the Church. Unfortunately, for various reasons, it was, to a large degree, emasculated after the council, in favour of lay ministry. The difference is this: as a priest, I can distribute Holy Communion, I can read out the scriptures, I can celebrate the Liturgy. If lay people do these things, they are essentially helping the priest. 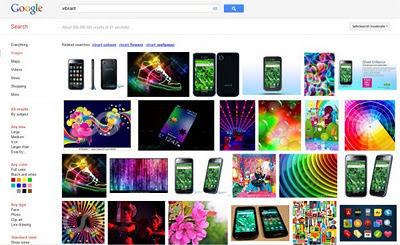 Can we all stop using the word "vibrant", please. I have mixed feelings about the film Braveheart but one line that I do like is when Mel Gibson as William Wallace rides out to the parley on the battlefield at Stirling and says "Ah'm goin tae pick a fight". I have waited for a propitious moment to pick this one, fearful of being seen as attacking any particular person who has recently used the word "vibrant" in print (in fact, only today I saw two examples) but I dive in because scarcely a day goes by without seeing something described as vibrant. Politicians, Bishops, schools, supermarkets, councils, advertising agencies, the local environmental and climate change awareness group, the police, social services, and Uncle Tom Cobley and all, nowadays describe themselves, their activities or their "communities" as vibrant. Are the communities vibrating or quivering in some way? I haven't read it yet, but this is just a heads-up that the January edition of Faith Magazine is now online. Sir Dan of the blogosphere tells me that William Oddie is especially worth looking at. I'll be attending to it over my cocoa later. Yes. Cardinal John Fisher who was beheaded on the order of King Henry VIII at Tower Hill in 1535 because he refused to accept Henry's marriage to Anne Boleyn or the suppression of English Catholicism.which is not bad for the BBC. I thought that the contestant might be going to say "Thomasssss MORE" which would have been a less disastrous mistake. Of course we don't expect everyone to know all about our history and I don't want to attack the poor chap for not knowing everying, but Thomas Cranmer was perhaps about the worst answer he could have given. With my new iPad and Kindle, and my soon-to-be-out-of-contract Android phone, I went last week to the John Fisher School to speak to the boys of the Faith group about the use of new technology in evangelisation. One of the main points that I made was that technology can be morally neutral in itself and can be used for great good and for great evil (though as a part of creation, with the input of human intelligence, it is fundamentally good.) Our duty is to make sure that we use it for the good - especially by proclaiming the truth of the teaching of the Catholic Church, and for assisting others to know and love Jesus Christ. After the talk there were some good questions and the boys enjoyed playing with the iPad. They referred to the "washing machine" effect when you twist it and make the display go rapidly from portrait to landscape and back again. I had to contact SeaWorld the other day. When I rang them, the message said: "Your call may be recorded for training porpoises." Personally I have never experienced anything but kindness and good spiritual provision from Opus Dei, since I first went on a retreat at Wickenden Manor as a teenage boy some 40 years ago. As a priest I find that the Days of Recollection are a great help and I wish that my parish activities would allow me to attend more regularly. Still, there are others who criticise various things about Opus Dei, or about particular members. Such discussion is bound to be a part of the life of the Church when a religious society is so effective in its apostolate and powerful in its work for the Church. None of us should expect to be immune from criticism; what matters is how we respond to it. What of the future? We face it with faith and hope, committing it to the Lord. 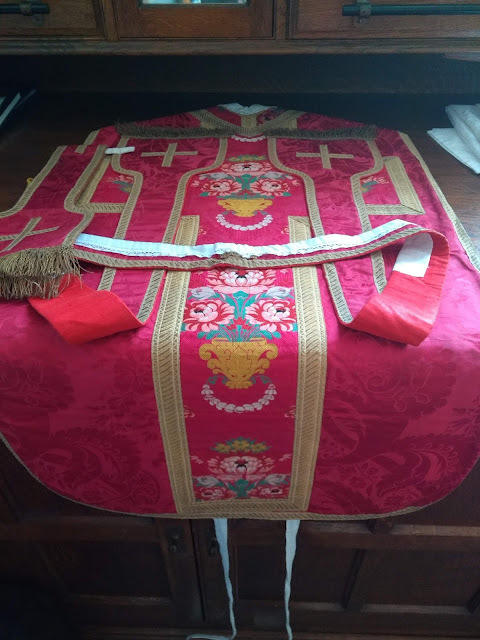 There is a constant stream of men and women being received into the full communion of the Catholic Church through the Ordinariate, we expect several new groups to be received at Easter and we are preparing for a number of ordinations to the priesthood around Pentecost. In addition several young men are exploring the possibility of ordination within the Ordinariate. I made copies of the pastoral letter available in my parish because it will help some people to understand what the Ordinariate is. As Mgr Newton explains, many Catholics have had no contact with the Ordinariate and misunderstand it. I'm sure many of you will have heard this already but I do claim the privilege of hearing the joke when at a Christmas party where a relative of mine was present who does actually work at CERN. A Higgs Boson particle walks into a Catholic Church. So the priest comes up to him and says "Oi you! Higgs Boson! You can't come in 'ere." So the Higgs Boson particle says, "Without me you can't have any mass." 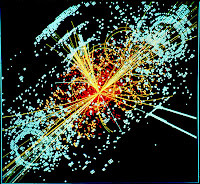 Incidentally, as I understand the explanation given to me, the people at CERN haven't discovered the Higgs Boson particle, they have found various places where it doesn't exist, thus narrowing down the possibilities for places where it does, and making it more likely that they will find it in the end. But I am sure that is an over-simplification. The Ordinariate of Our Lady of Walsingham is celebrating the first anniversary of its foundation with Evensong and Benediction at St James's, Spanish Place, next Sunday 15 January at 5pm. The Ordinary, Mgr Keith Newton will be the celebrant. I love the idea of Evensong and Benediction, combining the best of the Anglican patrimony with the quintessentially Catholic service of adoration of the Blessed Sacrament. I regret that I will not be able to be there as I have my own evening Mass in the parish, but I would very much like to host a celebration of Evensong and Benediction at Blackfen some time. It would be particularly good to have the psalms sung according to the beautiful four part settings that I became familiar with many years ago at various chapels in Oxford. They could be a part of "mutual enrichment" if Catholic choirs singing Mass in English were to use them for the psalm at Mass, as used to happen at St Aloysius when I was in the choir there. "The dog took the biscuit but no wine was offered to the animal" Episcopalian Church; woman priest; biscuit and wine. Correct.